A number of years ago the Mar-a-Lago Turkey Burger was all the rage. Oprah had Donald Trump appear on her show since the recipe was developed at his resort, and she stated that it might be the best turkey burger in the world. About the same time we told a few friends about it too, and I think that was the real reason it went viral. It’s a great burger. But my problem is that we’ve made it less than once a year since then. Seriously, who has time to sauté ingredients, wait for them to cool, mix the patties, and then refrigerate for TWO HOURS, while roasting pears. Personally I want to cook and be done whenever possible, and this is why restaurant recipes sometimes don’t translate well to home recipes. Advance prep is great for a busy resort kitchen trying to handle the lunchtime rush, but for me it means I’d have to plan half of my day around that one recipe. So I studied what makes this burger so tasty, and tried to retain the key elements while streamlining it all around. It comes together in minutes not hours, and I hope you’ll still love it as much as Oprah’s legion of fans my friends and I do. What other recipes do you love, but feel they take too much effort or time? Do you try to find “safe” shortcuts, or follow recipes to the letter? Summary: This comes together in minutes not hours, and while not quite as tasty as the original Mar-a-Lago turkey burger recipe, the streamlined steps and smaller portions work well for our family as I hope they will for yours. Turkey burgers don’t have to be dry, but they don’t have to be complicated either! Preheat a grill to medium-high heat, and oil the grates. Place one tablespoon of Major Grey’s Chutney in a large bowl, and mash out any large chunks of fruit. Add the ground turkey, grated apple, chives, parsley, canola oil, lemon juice, salt, ground pepper, and Tabasco® sauce. Mix all of these ingredients together thoroughly, and form into patties about 3/4 inch thick. Grill until cooked through, about 2-3 minutes per side. Serve with the buns, lettuce, tomatoes, red onion, and the remaining Major Grey’s Chutney. If you prefer, they can be eaten with traditional condiments instead of the chutney. I think recipe improvisation depends more on the type of cooking rather than a personality issue. Baking, for instance, is more scientific, and ratios must be followed fairly closely or the necessary chemical reactions won’t take place to create those hot fluffy rolls. Sautés or stir-fries can let your creativity run rampant and as long as the pan is hot and the sauce is correct, anything goes. For most recipes, you should adapt the flavors to suit the palates and preferences of you and your guests as long as you follow the basic framework of the recipe. You’re right Traci – baking recipes have much lower tolerance for tweaking. And a certain risk of catastrophic failure. 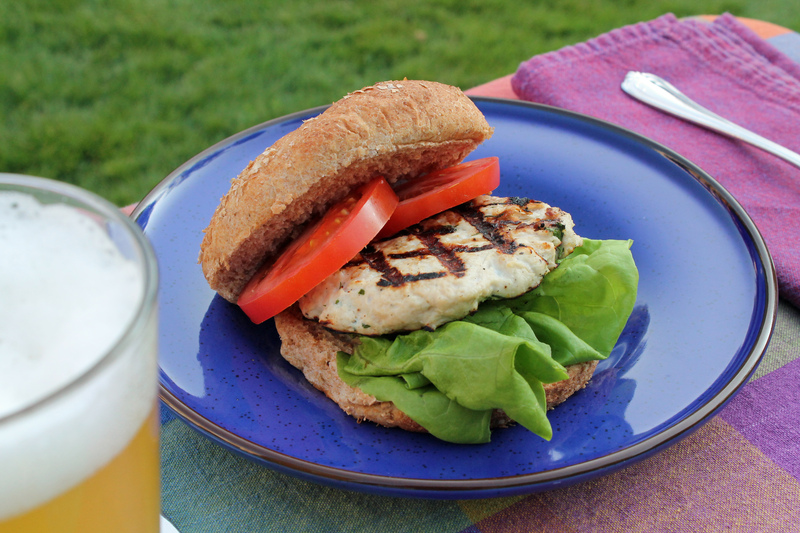 Although to be honest, I think turkey burgers fall into a risky area as well – there’s always a risk of ending up with “parched pucks” as Cooking Light said it very well! Quite true Ryan. Some recipes and ingredients are more fragile than others and have to be handled with care in order to produce the desired results. However, the extra attention is often rewarded with exquisite texture and flavor. I’m looking forward to the next recipe and hope to hear of more successful transformations. Happy cooking! Thank you. I, too, have been making the original recipe only once a year and have frozen the leftover uncooked burgers. This is exactly what I am looking for and will be making sliders for the holiday weekend using this transformation. Thanks Diane, so glad to hear it. Enjoy the weekend! Thank you so much for this recipe. This really is the best turkey patty. I’ve been making it over and over and not to mention sharing it with my friends. Thanks JJ! We love it as well. So glad we are back to grilling season! Why is there so much major grey’s chutney in this smaller amount of ground turkey ,compared to the original recipe ????? Great question Shirley. Actually, the amount added to the burger patty mixture is approximately the same (1 tablespoon to 1.25 cups turkey, vs 1/4 cup to 4 cups turkey). The extra 1 cup is a condiment for serving, not to be mixed in with the turkey. The original recipe recommended this same approach, but didn’t list that extra quantity in its ingredients list. I’m so excited to try this recipe! I make these all the time and they are very time-consuming, so thank you very much!!! Have you ever made from our Mar-a-Lago turkey meatloaf???? Thanks Susan! I haven’t done the meatloaf version, will have to try that out!